This last few days of heat has really set the garden back. We are out early and late watering. I watered for an hour, early this morning, but by lunch time everything was drooping with this blast of oven temperature air. 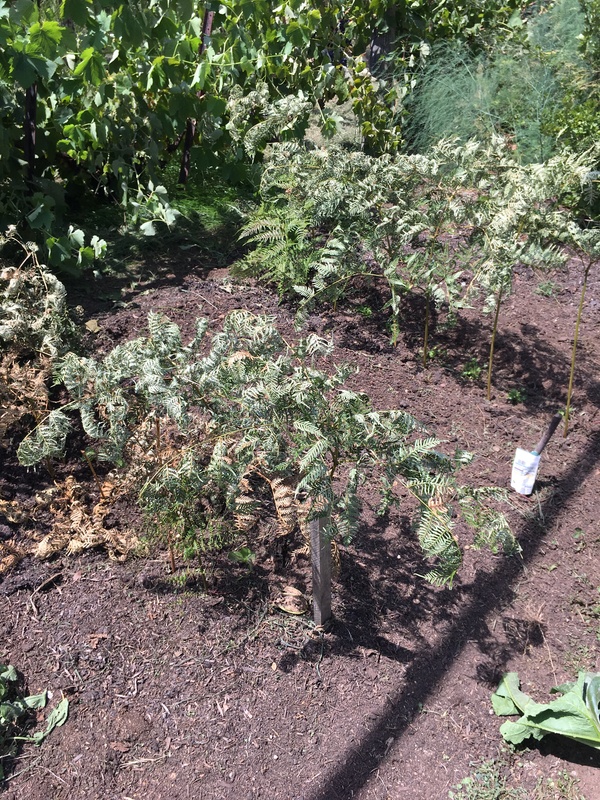 Because it is so baking hot, I have been out cutting bracken fronds and sticking them into the seedling beds to give some shade to the young transplanted seedlings. I transplant them in the evening when it is cool and give them overnight to settle in before the next hot day. They seem to be surviving OK so far. I have been harvesting the summer excess. 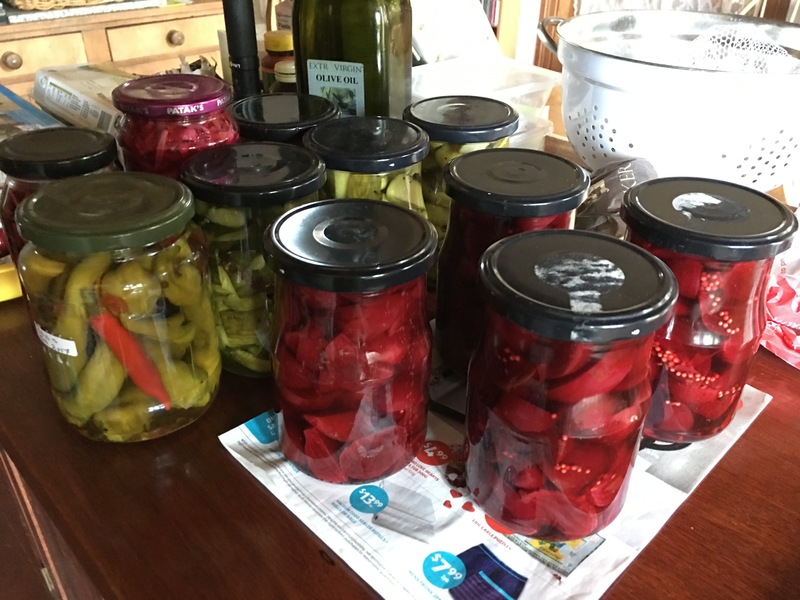 A bucket of beetroot, a bucket of cucumbers a bag chillies and another red cabbage. 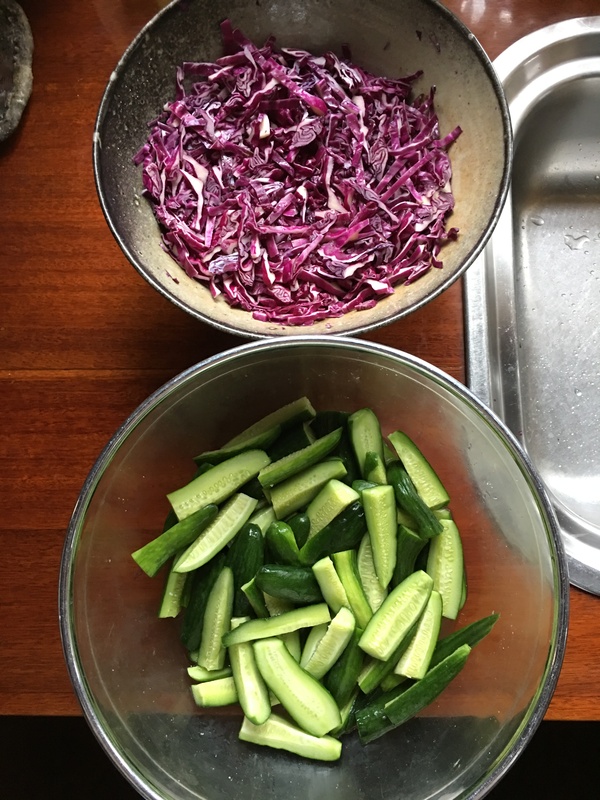 I decide to make pickles, I wash, chop and thinly slice the cabbage, then soak in a brine of 2 cups of salt to 1 litre of water. 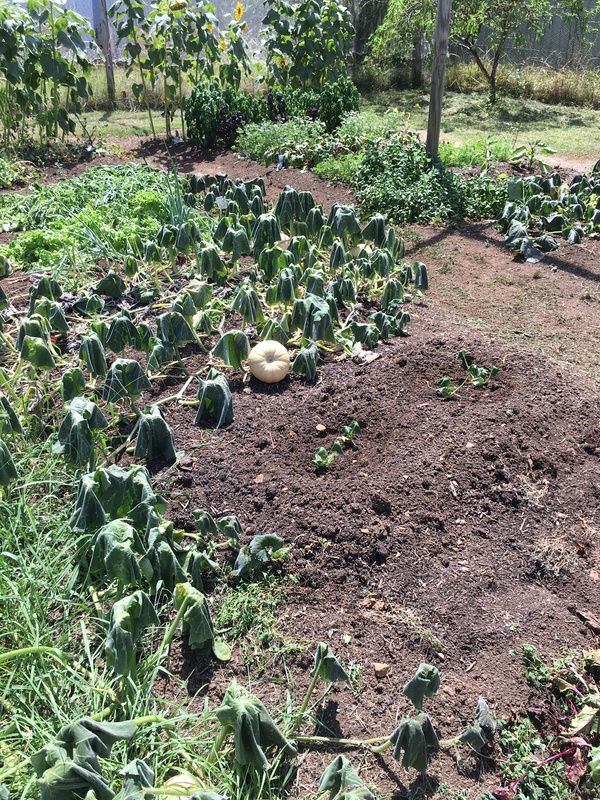 The cabbage collapses over night and in the morning it is completely submerged. 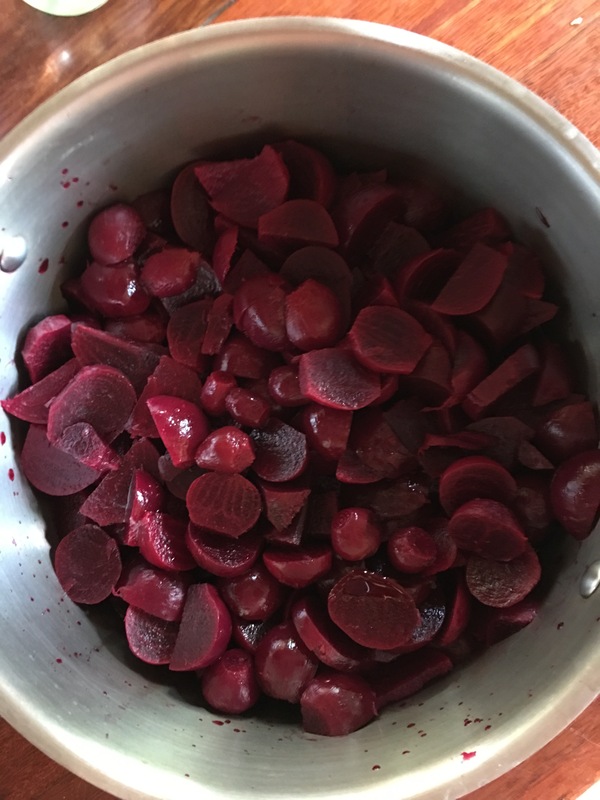 I rinse it twice to get a lot of the salt out, then pack it in hot sterilised jars from the oven and cover with hot pickling vinegar, then seal down the lids. I hear them ‘pop’, and vacuum seal themselves when they cool, as I go about dealing with the cucumbers. They have been sliced and soaked in brine too. 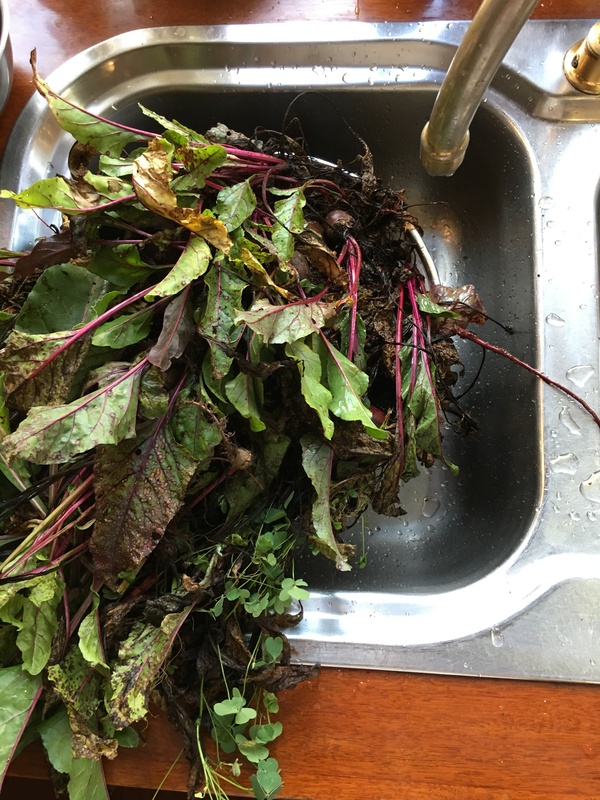 I rinse them and pack them into hot jars, cover with more of the pickling vinegar. 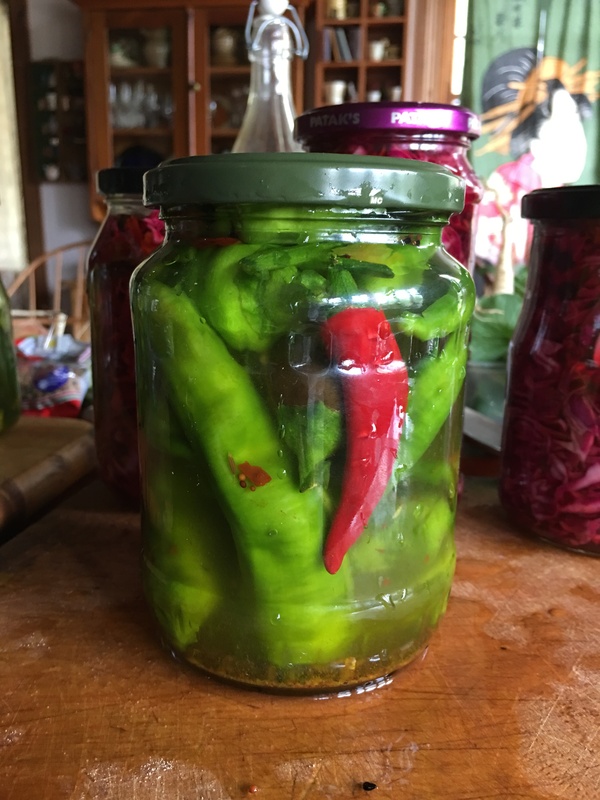 While I’m at it, I stuff another large jar with whole chillies, that I have sliced open on the side to allow the pickling liquid in. 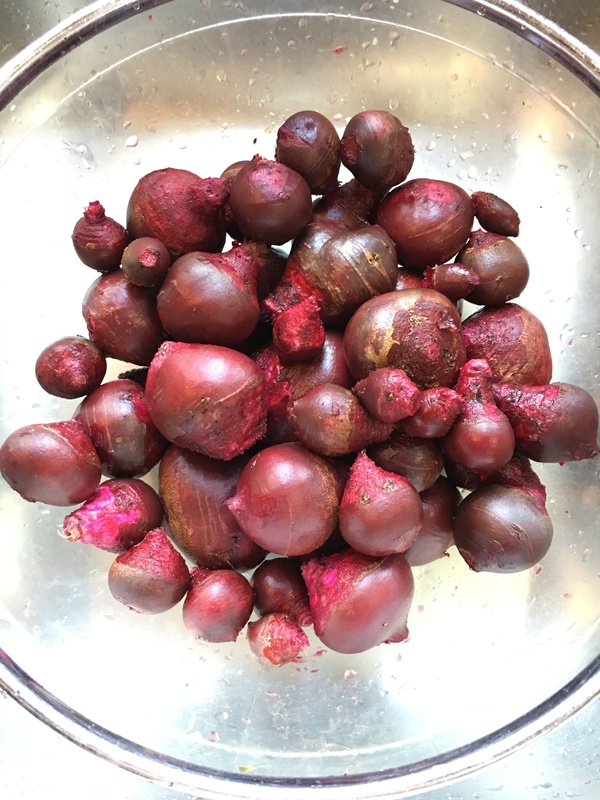 My final job is to peel, then slice a big boiler full of cooked beetroot. They are a really wonderful colour. I bring them back to the boil for a minute or two in their original juice, I get 4 jars packed tight. I fish out a chilli, some cloves, pepper corns and a small piece of cinnamon bark to add to each jar. Then cover with the last of the vinegar. I have to go back to work tomorrow in the kiln factory. I have 7 kilns ordered, so far this year already. I’m booked out till September. I have to get busy. My summer break is over. I started back a couple of weeks ago to get an early start on all these orders, but then I sliced my knuckle open. So that was that till now. With the scorching heat, I don’t fancy working in the tin shed that I call the factory. But needs as needs must. I think that I’ll be running the sprinkler on the roof during the hottest part of the day. 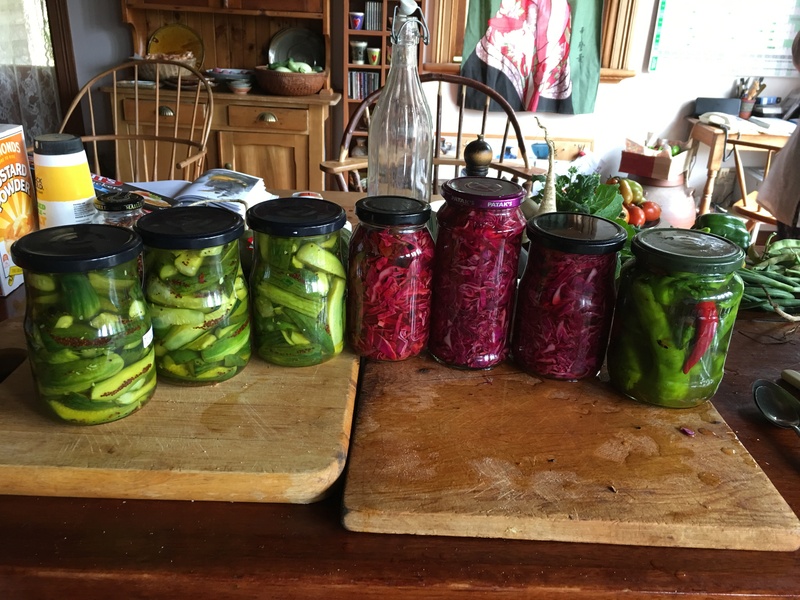 This entry was posted in cooking, In the garden, in the kitchen, pickling and preserving, self-reliance by hotnsticky. Bookmark the permalink.